Only 10 minutes' walk from the center of Ubud, Depa House features Balinese style architecture, while WiFi is accessible in all areas. 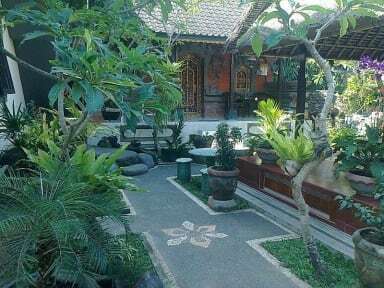 Rooms with fan in Depa House are equipped with a desk, wardrobe, and have a private terrace with views of the surroundings. Shower facilities are available in the bathrooms. Airport shuttle services are among the many amenities available at the property. Day trips can be planned at the tour desk. Sacred Monkey Forest which is a 5 minute walk from the accommodation. A shuttle service can be provided from and to Ngurah Rai International Airport, which can be reached within 1 hour drive. For meals, you can visit the nearby restaurants serving Indonesian and Western cuisine, is located as far as 2 minutes walk. Really great hostel! Good location and the staff was very friendly. Their breakfast is amazing and served on your porch. Highly recommend this place. Excellent hostel with lovely staff :) Would definitely stay here again and a great place to start exploring Ubud. The staff at Depa House go that extra mile to help you out. They are very welcoming and it has been a pleasure to be part of the family for the time we were there. AC is good. WiFi strong enough to stream videos. Breakfast available if required. Very central to Ubud centre. Excellent value for money! Staff goes above and beyond to help. Facilities have everything you need. Great place close to being an amazing place! Walking distance to some cool places to eat and drink! Clean! Staff were so lovely and helpful. Breakfasts were a delight as well. I loved the omelet. Not a hostel. First of all, they just have a lot of private rooms. 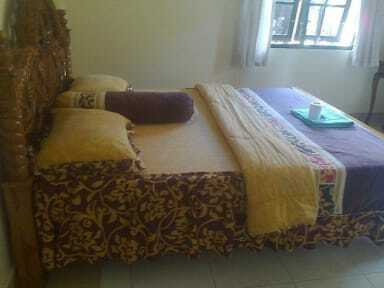 Apart from that the rooms were very nice and spacious with good beds. Got a good night of sleep here but just be aware there is no AC. There is a big ceiling fan which did the job for us in April. Location is amazing in the center of Ubud. Lovely clean room with balcony right in the centre of Ubud. Slightly tricky to find with no obvious signs once you come off the main street. Staff there were very friendly. Not much of a common area to meet other travellers (not many there when I was staying to be fair). Fantastic value for money, would stay again. Very nice guest house, good for when you need a break from hostels. All the staff I met did not understand English which made checking out incredibly difficult. The facilities are residential which means you feel as though you are walking through someone's house you get to your room. It doesn't feel like a hostel or hotel at all. There are better places to stay for cheaper.